Anyone who has been reading my weekly column knows that I love and exalt sparkling wine. I have gone on record, and jokingly stated that champagne is what makes life bearable. I am also fond of saying that when the weather is too cold, the only thing to drink is champagne. So here we are on another chilly Kyiv day of 18 degrees Fahrenheit. The city is knee deep in beautiful drifts of white snow. Peering out my balcony window, I am enthralled by the charm of icicles cascading in luxuriantly from the ledge above. I am joined by long time friend, and fellow sommelier, Elena Boiko. However, today the bubbly we will be tasting is not from France. It is not made in the French style, nor does it use any of the traditional grape varietals found in sparkling wine. If it is not made with some combination of Pinot Noir, Pinot Meunier, and Chardonnay, how then can it be a credible sparkling wine? Bagrationi wines hail from the Republic of Georgia, the birthplace of wine, some 8,000 years ago. The Bagrationi Winery was formally established in 1937. However, its roots go much deeper. Ivane Bagrationi Mukhraneli was descended from an ancient royal family. 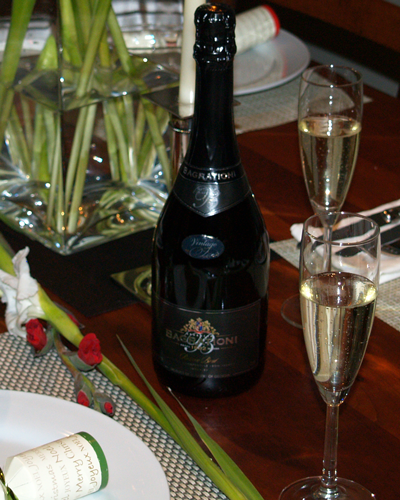 The family first started making their legendary sparkling wines in the 1800s. In 1882, Bagrationi wines gained repute throughout Europe by winning the International Grand Prix held that year in Saint-Petersburg, Russia. Hence, the company’s branding, Bagrationi 1882. 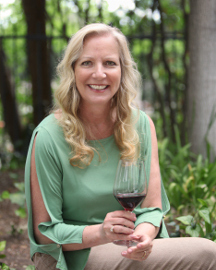 So when Nicholas Krivoruchko of the Pacific Wine Marketing Group first contacted Chris Terrell and I, we were quick to market the Bagrationi brand. In fact, within a very short time, these notable sparkling wines had gained an immense and loyal following. Sparkling wines can be paired with a great many foods. Two of the most popular have long been strawberries and caviar. I have found that bubbly also pairs nicely with other fruits such as, apricots, apples, pears, blueberries, and melons. When pairing fruits, it is important to make selections that are not overly sweet, messy, and their flavor does not overpower the wine. In terms of food, cheese, pasta, and seafood are all excellent pairings. “What is our first selection?” Elena openly displayed her anticipation. 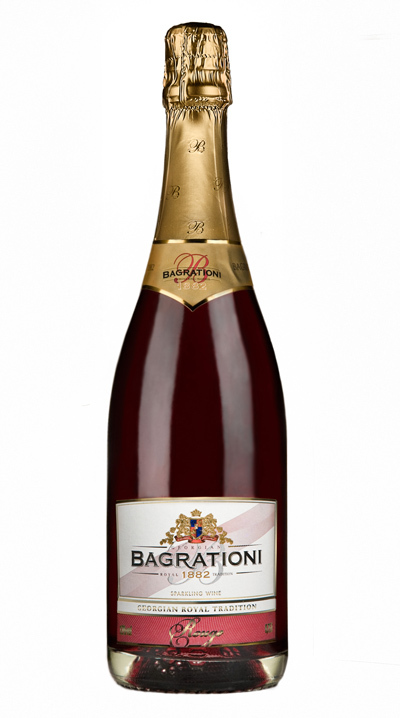 “I selected Bagrationi’s Reserve Brut,” my eyes crinkled softly. “It is not a vintage wine, but one of my favorites. “Gaumarjos,” she toasted me as I filled our glasses. The Reserve Brut is made from three grape varietals, Chinebuli, Mtsvane, and Tsitska. The vineyards are located in the regions of Imereti, Kakheti and Kartli. This is a traditional Georgian style sparkling wine. On the eye, our Reserve Brut is a pale straw in color. The nose is light and floral. 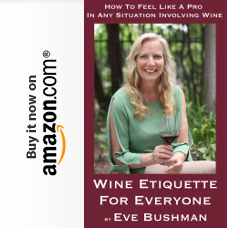 There is an elegance to this wine that is full of peach and apricot aromas. On the palate, there is a marked richness, creamy mouth-feel and exceptional balance along with a refreshing fruitiness. The finish is crisp and dry. It is also memorable and with persistent flavors. 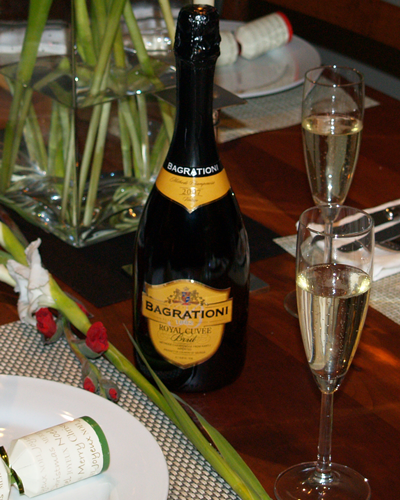 Our next selection from Bagrationi was the Royal Cuvee 2007. This vintage wine is produced solely from Chinebuli grapes from the Kartli region. Our 2007 is an elegant and superior quality wine. It is light gold in color, with delicate bouquet is of fresh flowers and lively citrus fruits. On the palate, the wine is fruity with notes of pear, apple, and a hint of almond. The finish is crisp and long, and persistently rich. “Keep in mind mind that Chinebuli grapes are unique to Georgia. They are favored for their fleshy and juicy pulp,” I paused for effect. “Georgian winemakers prefer the use of these grapes for their premium wines. Overall, an exceptional wine at $40. “I have something special for you,” I called for Elena’s attention. “Surprise me,” she smiled giddily. Our Bagrationi Rouge is Saperavi based. Arguably the most popular grape varietal throughout the Caucuses, Saperavi is Georgia’s noble wine making fruit. It is a durable grape that is used in almost every facet of Georgian wine making. It is a thin-skinned grape whose pulp is juicy. The fruit is deep blue in color and cultivated only in select appellations of the Kakheti region. The result is a delectable wine which has become quite popular when served as an aperitif. There is a fruity aroma of berries followed by a rich mouth-feel with a soft and smooth finish. Quite a treat at only $12 for this methode charmat wine. “Nothing about the bubbles?” I flashed a furtive smile. “But of course,” Elena paused on the moment. “I liked the wine’s crisp acidity and refreshing bubbles.